If you need help or want to get ahead in your subjects, HArts Academy After School Tutoring has started. 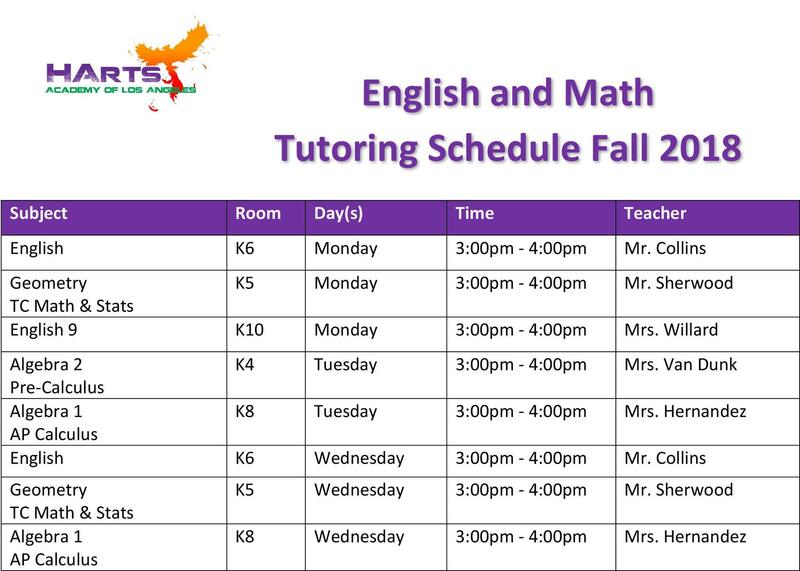 Tutors will be available in various subject areas to help you with any subject you may need. Not sure how to answer those Math problems? Need help finishing your English paper? Have to finish typing that essay? These are all things you can stay for After School Tutoring to accomplish.Tutoring will run Monday through Wednesday (no tutoring on Thursday and Fridays) from 3:00pm-4:00pm. Computers will be available to use as well.